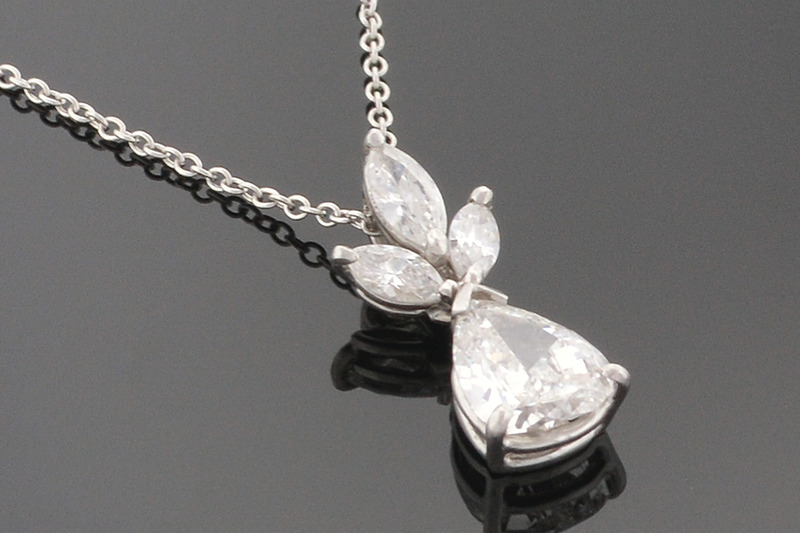 A diamond solitaire pendant is a great piece for wearing everyday. But, if you want something with a stronger design, a multi-diamond pendant like this one is perfect. This pendant features a .95 carat pear shaped diamond which has a color grade of G-H and a clarity of SI2/I1. Three marquise shaped diamonds, weighing .37 carats bloom from the top of the pear shape like petals from a flower. The stones are mounted in platinum and the pendant measures 3/8x5/8 inches.